Father’s Day is June 21st this year and little more than one month away. There is no better time than right now to start shopping for Father’s Day gifts for Dad and the other Dads in your life. If you’re like me you have more than one Father to shop for. I have my own Dad and Grandfather, my Father-In-Law, not to mention the Dad of my two children, my Husband. 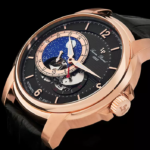 Popular online retailer WorldofWatches.com makes Father’s Day shopping easy this year with their Time For Dad 2015 Father’s Day Gift Guide. 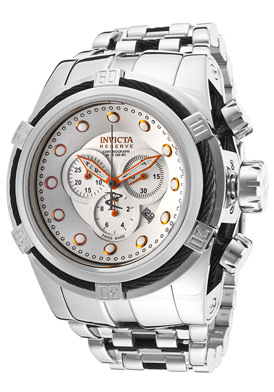 Over 2,600 popular men’s timepieces are featured in the month-long promotion at deep-discounted savings. 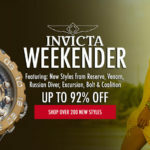 Many of today’s top watchmakers are featured in the event, including popular styles from Invicta, Swiss Legend, Movado, Michael Kors, Luminox, Bulova, Eterna, Seiko, Breitling, Bvlgari, Cartier, Lucien Piccard, TAG Heuer, Corum and Zenith, Ebel, Baume & Mercier, Red Line and Accutron by Bulova. You can shop for Father’s Day gifts by price: under $100, from $100 to $300, $300 and up, too. 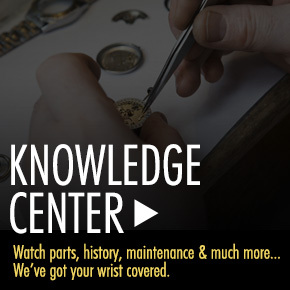 What’s more there are special sections focused on select brands, Chronographs, Automatic Watches, Leather Strap Models, Stainless Steel styles, Invicta watches and Best-Sellers. 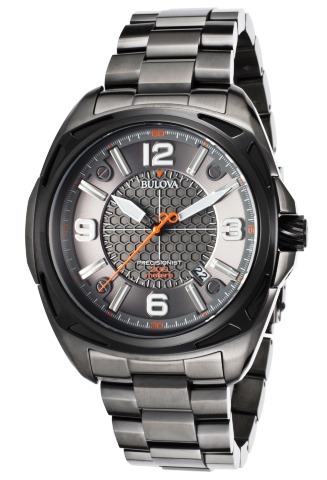 My Dad is a big fan of automatic timepieces and the Bulova Precisionist fits the bill. This outstanding men’s watch has a comfortable 46mm diameter, 14mm thick case in gunmetal ion-plated stainless steel along with a gunmetal plated steel bracelet. The gunmetal colored dial has an automatic date calendar, luminous hands and hour markers. The Precisionist has a screw-down crown and caseback for water-resistance to 300 meters, so Dad will be able to wear it on his deep-sea diving adventures in the Florida Keys later this summer. Classic traditional watches are my Grandfather’s favorite and the Swiss Legend Heritage men’s timepiece in yellow gold-tone stainless steel and leather is the ideal choice. This handsome timepiece features a Tonneau shaped case in polished yellow gold-tone steel with an alligator textured brown leather strap. The golden brown metallic dial with luminous pie-cutter hands and legible, oversized hour markers is ideal for my Grandfather, who has problems seeing most watch dials. 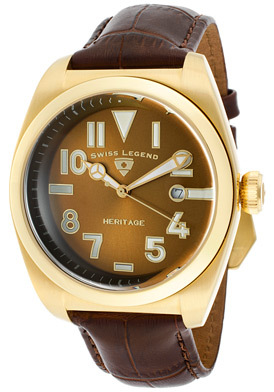 Features include precise Swiss-made quartz movement inside and water resistance to 100 meters. My Father-In-Law is a collector of bold oversized timepieces and the Invicta Bolt Reserve Chronograph in stainless steel is certain to win his approval. This robust men’s watch is a strapping 53mm in diameter and 22 mm thick. The polished stainless steel case is presented on the signature link bracelet in stainless steel with braided rope detail accents in black plated steel. The stainless steel bezel with braided black steel rope trim surrounds the silver colored dial with three subdials, luminous hands and hour markers. 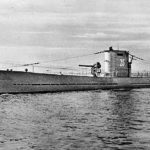 Features include quality Swiss-made quartz movement inside and water-resistance to 200 meters or 660 feet. The Movado Master Automatic watch is my choice for my husband, who is an architect and prefers modern, masculine timepieces. The Tonneau shaped case in polished steel is accented by decorative side bar lugs. The textured black rubber strap is sleek and appealing. 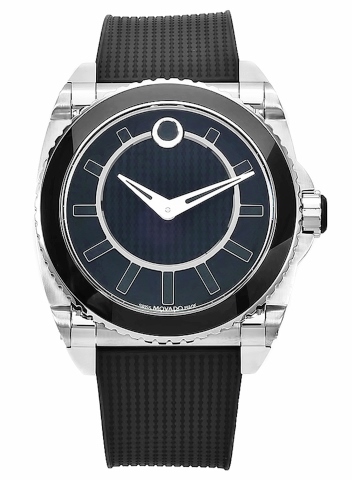 The stationary stainless steel bezel with a black enamel top ring surrounds the textured black dial with polished silver colored hands and highly stylized hour markers. Features include premium Swiss-made automatic movement inside and water resistance to 300 meters. A Salute To American Heroes!